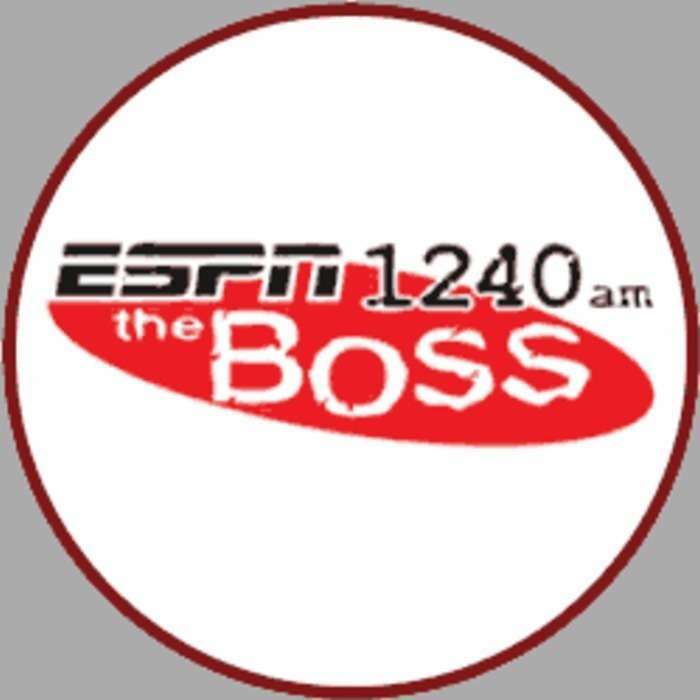 ESPN 1240AM is the Big Boss of Valley sports. Game 3 of the RCBL playoffs. The Diamondbacks and Reds play to decide who moves on to the next round. Game 2 of the RCBL playoffs. The Diamondbacks play the Reds at the Diamond Club. Game 1 of the RCBL playoffs. The Diamondbacks play the Reds. Diamondbacks close the regular season at home against the Blue Sox. The Diamondbacks play a win-or-go-home game against the New Market Shockers. The RCBL playoffs start with the #2 seed Stuarts Draft Diamondbacks playing the New Market Shockers. The Diamondbacks race to the finish line of the RCBL by playing the Clover Hill Bucks. The final week of the RCBL season has the Diamondbacks playing the Bridgewater Reds. The Stuarts Draft Diamondbacks play the Elkton Blue Sox. The Diamondbacks are in New Market to take on the Shockers. The Stuarts Draft Diamondbacks play division rivals the Grottoes Cardinals. The Diamondbacks are in Bridgewater to play the Reds. The division leading Stuarts Draft Diamondbacks take on the other division leader Clover Hill Bucks. The Diamondbacks play the New Market Shockers for the third time in 10 days. The Diamondbacks host the New Market Shockers in Stuarts Draft. At the mid-point of the RCBL season the Diamondbacks take on the Blue Sox of Elkton. The Diamondbacks are on a 6-game winning streak. They return to Broadway to play the Bruins. The Diamondbacks travel north to play the Broadway Bruins. The Montezuma Braves host the red hot Stuarts Draft Diamondbacks. The league-leading Diamondbacks take to the road against the Elkton Blue Sox. The Diamondbacks play the Bridgewater Reds in Stuarts Draft. The Diamondbacks play the Broadway Bruins in Stuarts Draft. The undefeated Diamondbacks are at home against the Clover Hill Bucks. The Stuarts Draft Diamondbacks continue their hot start by hosting the Montezuma Braves. The second game of opening weekend for defending RCBL champion Stuarts Draft Diamondbacks has them facing the Grottoes Cardinals at the Diamond Club. RCBL Playoff Semifinal Game 3 — D’Backs (5) and Braves (7). RCBL Playoff Semifinal Game 2 — D’Backs (5) and Braves (7). RCBL Playoff Semifinal Game 1 — D’Backs (5) and Braves (7). RCBL Playoff Quarterfinal Game 2 — D’Backs (5) and Bucks (4). RCBL Playoff Quarterfinal Game 1 — D’Backs (5) and Bucks (4). The D’Backs close out the regular season hosting the Grottoes Cardinals. The D’Backs head up to Elkton to play the Blue Sox. The D’Backs play the Montezuma Braves. The D’Backs host the New Market Shockers. The D’Backs play the Broadway Bruins. The D’backs play the Luray Cavemen at the Diamond Club. The D’backs play the Luray Cavemen. The D’Backs try to get above .500 as they host the Clover Hill Bucks. The D’backs are at home against the New Market Shockers. The D’backs go up against the Cardinals of Grottoes. The D’Backs are in Bridgewater to take on the Reds. The D’backs are in Luray to face the Cavemen. The D’backs lock horns with the Bucks. The Diamondbacks return home looking to end a losing streak. The D'backs host the Bridgewater Reds at the Diamond Club. The Diamondbacks host the Broadway Bruins in the 2016 home opener at the Diamond Club. The Diamondbacks open the 2016 season on the road against the Bucks.